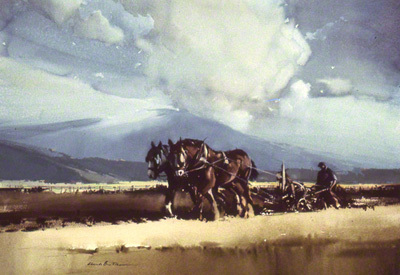 A water colour picture of ploughing by Claude Buckle showing working horses and the traditional heavy plough. The location of this picture is unknown. It shows a mountain in the background with an interesting cloud formation over it. The horses are straining at their harness and are clearly in motion. Created in 1965.